There is an interview with Matt Gray, a Project Cataloguer at the Andy Warhol Museum in the current issue of the Pittsburgh City Paper. An exhibition of photographs by Warhol insider and Interview magazine editor, Bob Colacello, will run from May 3 to June 21, 2019 at Vito Schnabel Projects. Details: 43 CLARKSON STREET, NEW YORK, NY 10014 T. 646 386 2246 F. 212 504 0836 INFO@VITOSCHNABEL.COM. Colacello is the author of the riveting insider's view of Andy Warhol's world, Holy Terror: Andy Warhol Close Up; he was the managing editor of Interview magazine from the autumn of 1970 to late '71 and became the executive editor after Rosemary Kent was fired in 1975. (See "Andy Warhol's Interview."). He also helped to write, along with Pat Hackett, The Philosophy of Andy Warhol (From A to B and Back Again. The exhibition and Colacello's book, Holy Terror: Andy Warhol Close Up, are both Highly Recommended. For Bob Colacello's comments on Fred Hughes from Holy Terror, see: "Fred Hughes attacks Andy Warhol." 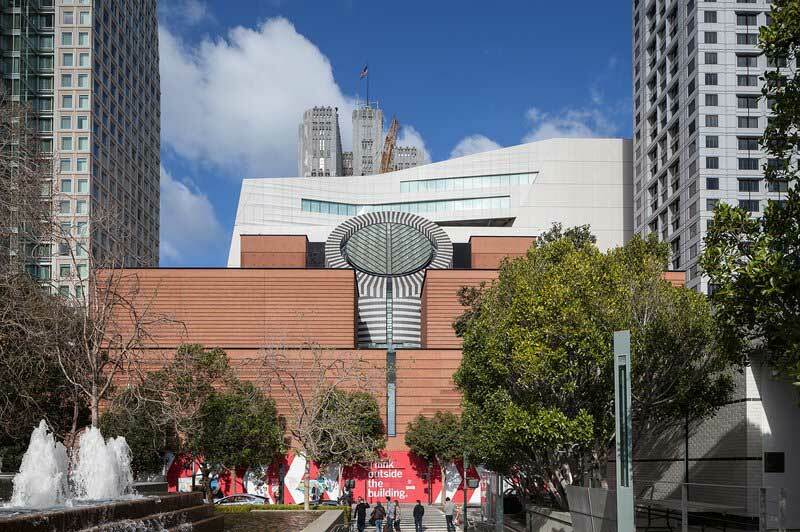 There will be a Factory-style party on the fourth floor of the San Francisco Museum of Modern Art's "Art Bash" fundraiser on May 22, 2019. The evening which will include a performance by the indie pop band Luna, featuring Dean Wareham and Britta Phillips who did "13 Most Beautiful: Songs for Andy Warhol’s Screen Tests" and "Exposed: Songs for Unseen Warhol Films." The event on the fourth floor is in celebration of the Warhol retrospective, Andy Warhol—From A to B and Back Again, which will run from May 19–September 2, 2019 at the museum, travelling there from the Whitney in New York. Other performances include Nick Cave activating the atrium with an LED art floor and Soundsuit Invasions. Throughout the evening, 10 Soundsuits dancers will perform in the atrium. Art Bash is sponsored by: Dolly and George Chammas, Penny S. and James G. Coulter, Roberta and Steve Denning, The Fisher Family, Kathryn Hall and Tom Knutsen, Jessica and Jason Moment, Diana Nelson and John Atwater, Deborah and Kenneth Novack, Gina and Stuart Peterson, Lisa S. Pritzker, Helen and Charles Schwab, Komal Shah and Gaurav Garg and John and Ali Walecka. For full details of the Art Bash, see the press release. An exhibition of Nat Finkelstein's photographs - 'In and Out of Warhol's Orbit: Photographs by Nat Finkelstein" - runs until April 11 to June 1, 2019 at Proud Central in London. The gallery is located at 32 John Adam Street, WC2 6BP, London, Tel: 020 7839 4942. See also: Billy Name vs. Nat Finkelstein on Medium. Superstar site-user Vernon Purnell has brought to my attention a Rolling Stone magazine article announcing an exhibition of paintings by Bob Dylan to take place at the Gilcrease Museum in Tulsa from May 10, 2019 to September 15, 2019. Andy Warhol's Screen Test of Dylan will also be shown. 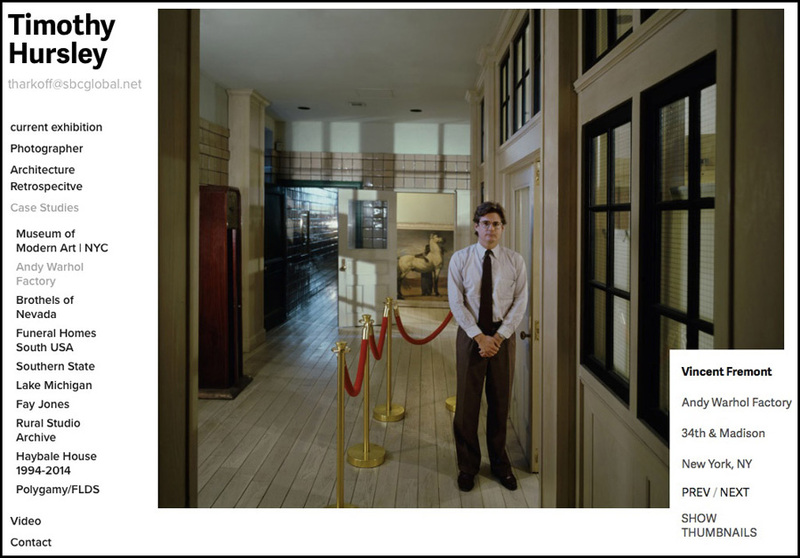 Stunning photographs of Andy Warhol's final "Factory"
Vincent Fremont standing in the hallway of Andy Warhol's final "Factory"
Thomas Kiedrowski, the author of Andy Warhol’s New York City (Penguin Random House) has brought to my attention some stunning online photographs of Andy Warhol's final "Factory" in the Con Edison Building by the photographer, Timothy Hursley, who also shot Warhol's bedroom in his townhouse on East 66th Street. Hursley's other work includes the Brothels of Nevada and the Museum of Modern Art. Fascinating website of photographs by a fascinating photographer. 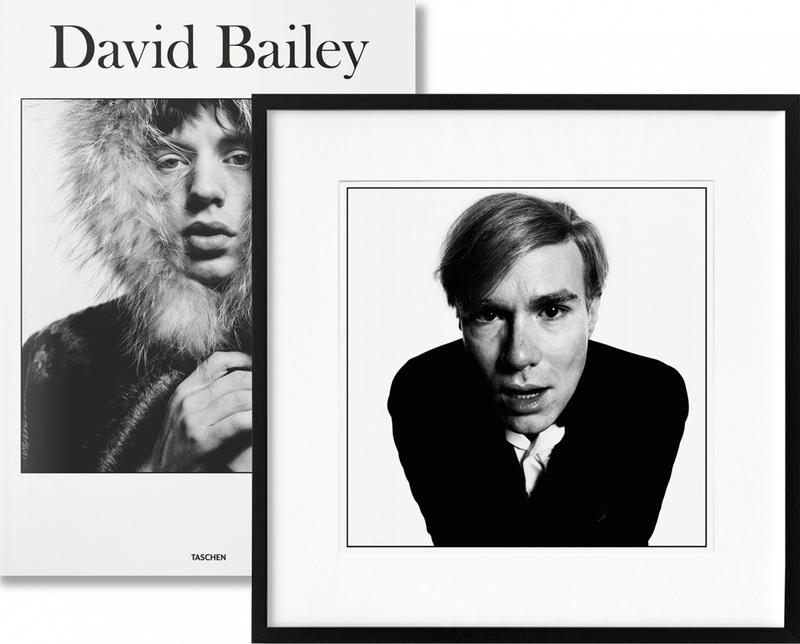 Taschen is publishing limited editions of a new David Bailey book that includes a signed print by the photographer. The first Art Edition came with a print of John Lennon and Paul McCartney and sold out at £11,250. The "Andy Warhol 1965" edition (no. 226-300) will be sold for £9,000 and is "coming soon." Details on the Taschen website. Includes introduction by Damien Hirst.